G.P. Putnam's Sons, 9780425276266, 496pp. Heralded by Gillian Flynn as “so spectacular . 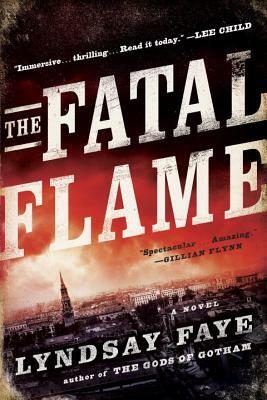 . . amazing,” the final installment in Lyndsay Faye's Timothy Wilde series--now in paperback! Lyndsay Faye is the author of three critically acclaimed books: Dust and Shadow,The Gods of Gotham, which was nominated for an Edgar for Best Novel, andSeven for a Secret. Faye, a true New Yorker in the sense she was born elsewhere, lives in Manhattan with her husband, Gabriel.